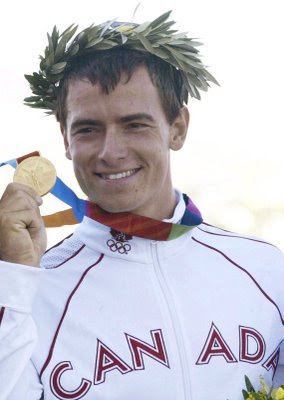 So the story goes like this: Adam van Koeverden, a celebrated and decorated Canadian kayak racer and flag-bearer for the Beijing 2008 Olympics was speaking to The London Free Press about our country's dismal olympic showing thus far. His message for those people whining about our low medal count: Get your kids off the couch. “I’d like to ask the people who are complaining about our results are they playing Xbox or are they playing sports? Are they going to (amusement parks) on the weekend or are they swimming? Do they do swimming lessons? Are they encouraged to play sports at school? I think if you want to get gamers off the couch we need olympic sports games that inspire us. Games that move us even. Personally though, I don't see that happening anytime soon.